Today I’m excited to have a post about the Raksura race, their society, and their gender roles from Martha Wells! 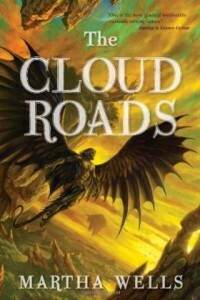 I discovered The Cloud Roads, the first novel in the Books of the Raksura, last year due to an excellent review by The Book Smugglers. The Cloud Roads ended up being one of my favorite books I read last year for its sympathetic main character, creative worldbuilding, and absorbing storyline. 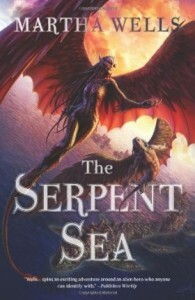 I absolutely loved it, and I’m definitely planning to check out earlier books by Martha Wells (and of course, The Serpent Sea, the recently released sequel to The Cloud Roads). Kristen asked me to write about the Raksura, from my recent books The Cloud Roads and The Serpent Sea. Both books are fantasy adventures, set in a created world, where the main character Moon is an orphaned shapeshifter who has no idea what he is or where he comes from. He’s been living among the many different species of his world, always hiding his true nature. When he does find his own people, the Raksura, they’re in danger of being wiped out by the Fell, a predatory and parasitic species that seems unstoppable. Moon was an outsider who was discovering his culture for the first time, and I wanted the reader to discover it along with him. I wanted to make Indigo Cloud, the Raksuran court that Moon tries to join, to be as strange to the reader as it was to him. Moon’s will to really belong somewhere, to have a safe place to live and to have friends and lovers who know who he really is, is at odds with a lifetime of distrust and fear, of having to lie constantly and to pretend to be someone else in order to survive. He doesn’t know if he can trust his own people, and he doesn’t know if he’s even capable of trusting anyone anymore. He faces the fact that he may never be able to fit in, that he may have been alone too long to really become one of them. It doesn’t help that the court’s social structure is complex, with rules of behavior that seem completely strange to him. Moon also finds that his role in the court will be far more complicated than he imagined. 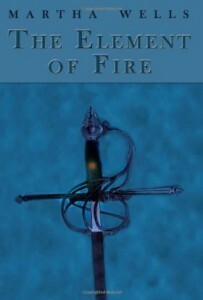 And he has to learn all this while trying to help Jade, the sister queen, and the other Raksura fight off the Fell and look for a way to move the court to a safer home. The queens are the leaders of the Raksuran courts, and also the most physically powerful. Female warriors are also bigger and stronger than male warriors. And one of the things that Moon doesn’t know before he arrives is that he is a consort, one of the only fertile males of the royal Aeriat, and that his only possible role in a Raksuran court is to be a mate to a queen. So if Moon wants to belong to the court of Indigo Cloud, it basically means an arranged marriage to Jade. And Pearl, the ruling queen and her faction, don’t want him in the court at all. While he is still considered an outsider, Moon has no status and no protection; he may be forced to fight for a position in the court he isn’t even sure he wants. Also, Raksuran consorts are meant to be seen and not heard; Moon’s role would be mainly symbolic and how much agency and influence he would have would depend a lot on his queen. Moon, who finds it so difficult to trust, will have to put himself physically and emotionally in Jade’s power. With the gender role reversal in Raksuran culture, in some ways it was tricky to stay in the viewpoint of my non-human characters. I had to continually question my assumptions about physical abilities and sexual politics. Also, though many of the roles in the court are determined by biology, Raksura are also cranky and stubborn individualists in many ways, and I wanted to leave room for that individuality. The Arbora have the most latitude, since the castes of teacher, soldier, and hunter are individual choices, and the Arbora can switch from one to the other as their preferences change. Since the Arbora need magic to be mentors, that was the only one of their castes where membership in it was determined by birth. I also felt that a culture that was not monogamous, where the queens and the female Arbora completely control their ability to conceive children, would be pretty free about sexuality and that that freedom would be reflected in other areas of the culture. 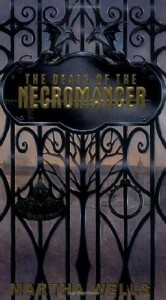 I’ve had a great time writing these books, and thanks to Kristen for letting me talk about them here! 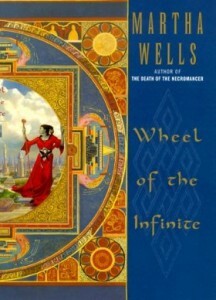 Martha Wells is the author of twelve SF/F novels, including The Element of Fire, City of Bones, Wheel of the Infinite, The Wizard Hunters, and the Nebula-nominated The Death of the Necromancer. 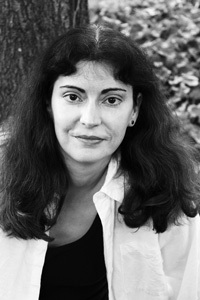 Her most recent novels are The Cloud Roads (March, 2011) and The Serpent Sea (January, 2012) published by Night Shade Books. 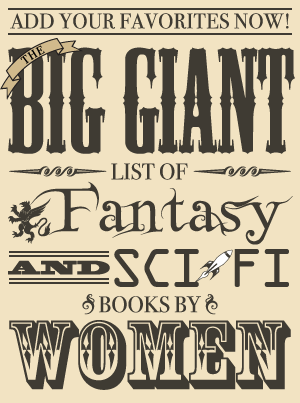 She has had short stories in Realms of Fantasy, Black Gate, Lone Star Stories, and the anthology Elemental, and essays in the nonfiction anthologies Farscape Forever and Mapping the World of Harry Potter. She also has two Stargate Atlantis media-tie-in novels Reliquary and Entanglement. Her books have been published in seven languages, including French, Spanish, German, Russian, and Dutch. Her web site is www.marthawells.com.